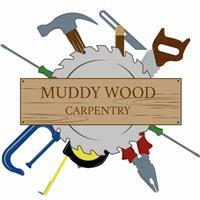 Muddy Wood Carpentry - Carpenter, Fencing/Gates, Kitchens based in Westcliff-on-Sea, Essex. Muddy Wood has been operating for the past 5 years and run by myself Ryenn who has been working as a Carpenter for the past 9 years. Office, shop and school refurbishments. We also have a close team who are all fully qualified, insured and verified that help with plastering, plumbing and painting and decorating as we try to cover all aspects in order to prevent our customer from having to deal with a large amount of individuals/companies for their projects. and many more so please do not hesitate to contact us. Our aim is to give our customer the best service at the best quality at the best price. We also offer a discount to those in the Emergency service with a Blue Light Card.